To ensure you have an easy and relaxing treatment, please take your time to review all the goodies we can put into your drip! What do I want in my drip? Here is a brief introduction to what our drip ingredients do. For more information take a look at our ingredients page. You have some choices to make! Take a look at our drip sizes, options, and pricing to find out what’s right for you. Our menu has full details. Relax, Enjoy, and Get Social! Once you choose your drip, all that is left is to sit back and feel better! Oh, and to follow us on Instagram of course. Use #dripbardelmar & tag your location! Share Your Experience on YELP! Why Choose Drip Bar Del Mar? While many drip bars are managed by nurses, very few have actual doctors working on site. 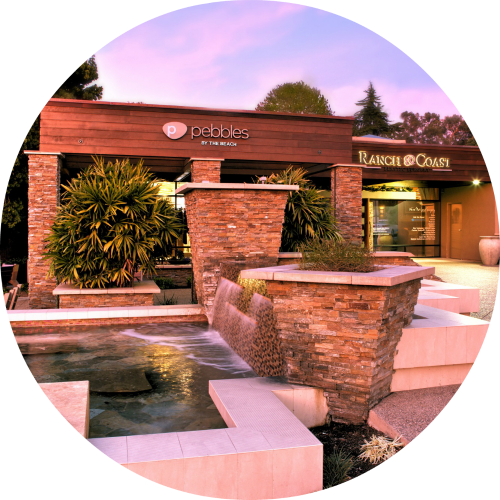 Drip Bar Del Mar operates within Ranch and Coast Plastic Surgery which features two on-site surgical suites. In short, you come for the drip bar, but you keep coming back because you know the Drip Bar is run by the best in knowledgeable, skilled staff. Drip services are administered by licensed Registered Nurses. Our nurse injectors are quite experienced, so you are in great hands here. Why Would I Want an IV Drip? You can benefit from an IV drip in so many ways! In addition to being a fast-acting hangover cure IV services can give you more energy, reduce pain, and even relieve nausea! If regularly administered, IV treatments can even improve memory, relieve chronic pain, reduce stress, improve skin health, and more. How Long Does a Drip Session Take? Drip sessions can vary in time for a number of reasons, but expect a treatment to take between thirty minutes to an hour and a half. The larger your IV bag is, the longer your treatment will take. In any case, you will start to feel better throughout the treatment! Yes! Our staff of registered nurses are trained to take care of patients at all levels. Your care is our top priority and you are in good hands. You should start feeling the effects within a number of minutes as the IV drip enters your system. Once your bag has completely emptied into your body, you should be able to feel the full effects of the drip! With regular appointments, you can even start to notice long term benefits. Can I Get a Drip Service In My Home? While we do not offer this service yet, we plan to offer it soon! Be sure to let us know you are interested in this service as we might start taking in-home clients soon.